This pendant is from Tacori's Island collection. 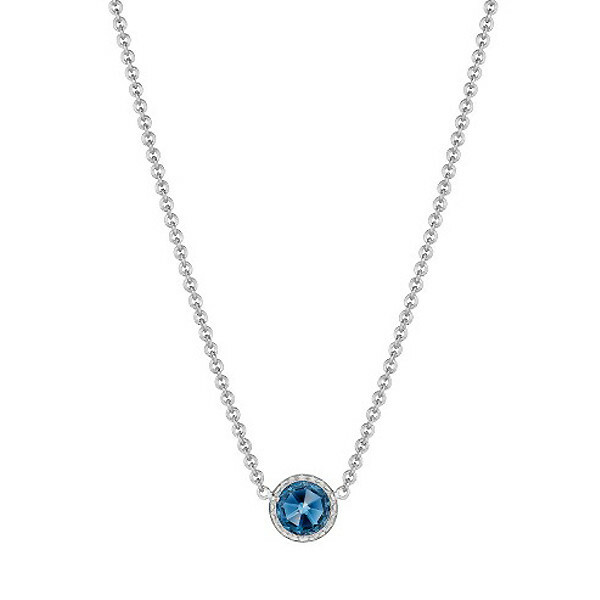 A round London blue topaz gemstone rests on a sterling silver chain to create a masterpiece. Introducing a necklace with a design so soothing, you'll feel like you're in paradise when you wear it.